Brazil’s President Jair Bolsonaro has pledged to remove any references to LGBT+ people from school textbooks and exams. 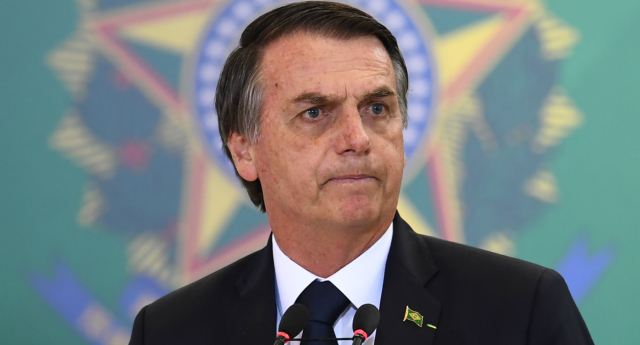 Bolsonaro and his government has revealed plans to erase all mentions of homosexuality, feminism and violence against women from the texts, and is set to allow the military to take over some public schools, according to Associated Press. On the eve of his January 1 inauguration, Bolsonaro re-emphasised his position, tweeted: “One of the goals to take Brazil from the worst positions in the world’s education rankings is to combat the Marxist waste that has spread in educational institutions. He also reportedly stated in a YouTube video that he would eradicate questions on gender or LGBT+ movements from Brazil’s national high school exam.